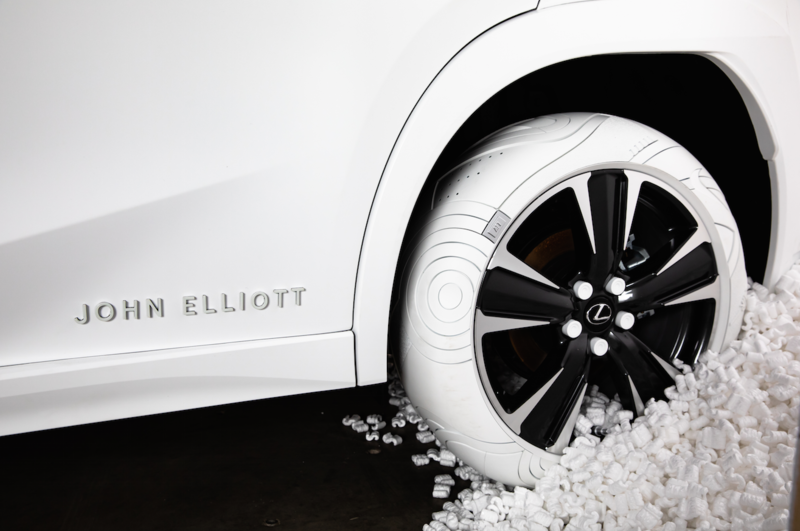 White Lexus UX tires serve as a nod to Elliott's Nike AF1 collab. 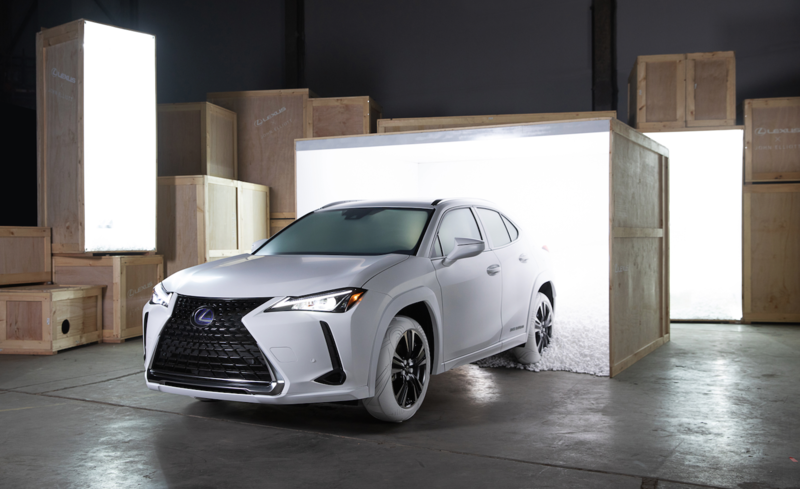 John Elliott's New York Fashion Week show featured more than just apparel and highly coveted sneakers like the all-new gold Nike LeBron Icon. 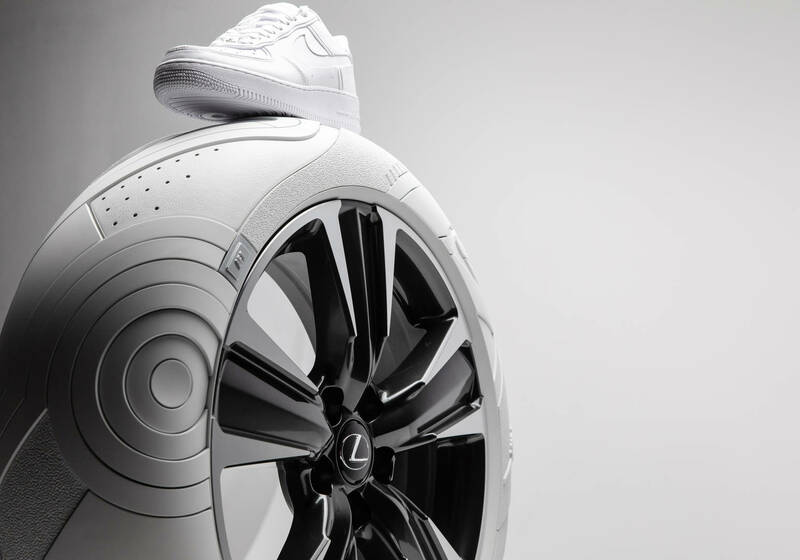 In addition to the streetwear and kicks, Elliott also partnered with Lexus to create the “Sole of the UX" custom tires inspired by his Nike Air Force 1 collab. 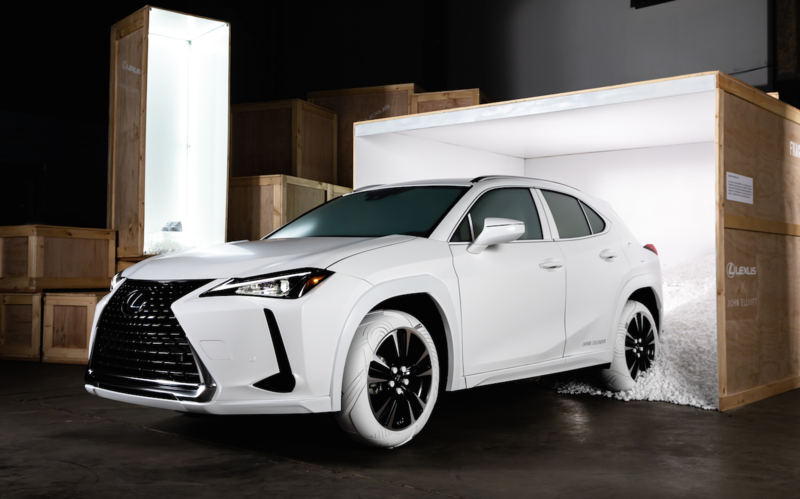 The collaboration features an all-white Lexus UX with custom tire details inspired by Elliott’s design, including white on white layers, double-stitched leather and a stepped metal air valve evocative of his stacked metal lace tip. 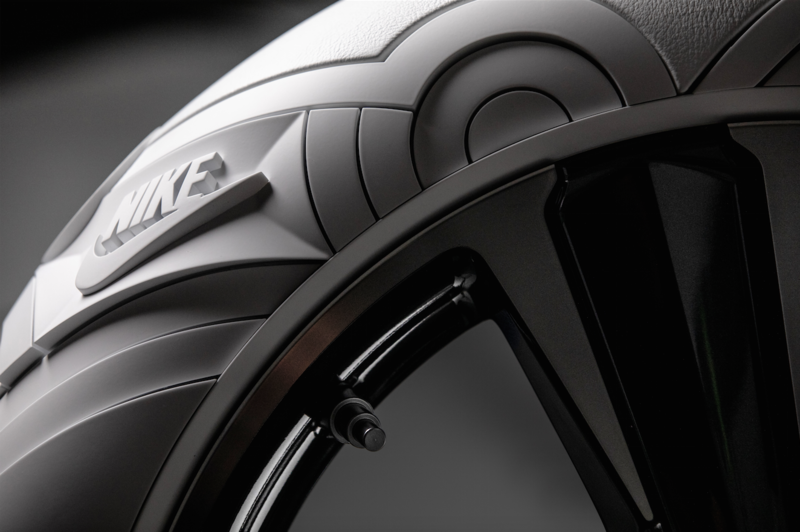 Other elements of the Air Force 1, including the iconic sole pattern can be seen throughout the tire's design. 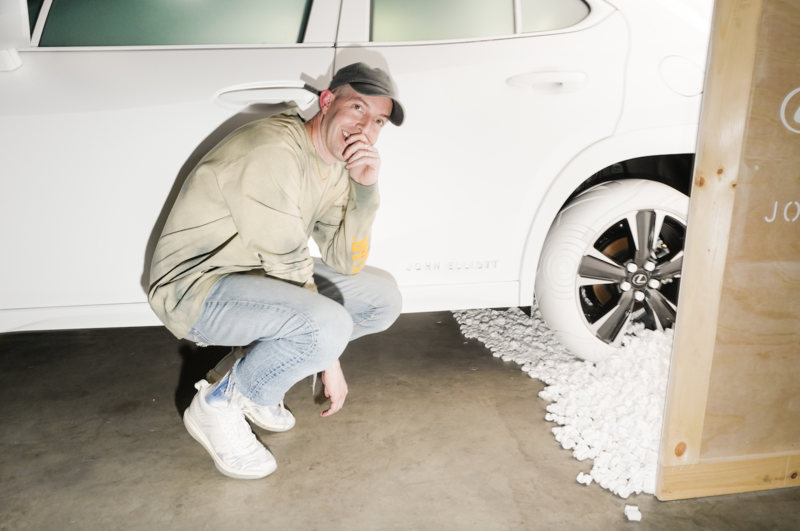 At the NYFW event, Elliott showcased several different styles of the John Elliott x Nike AF1 created by artists Actual Source, Hassan Rahim, Matt McCormick, and Yung Jake. These one-of-a-kind custom sneakers were auctioned off at the event with all proceeds benefiting Inner-City Arts, an organization based in downtown Los Angeles with a mission to provide access to arts education for LA’s most underserved youth.